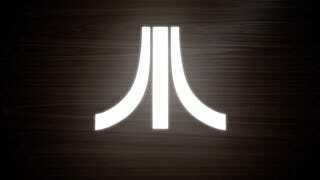 About a week ago, a mysterious website appeared that offered a glimpse of what appeared to be a new console by Atari. The site offered nothing more than a short video and appears to have been made with a free website builder. On Friday, Atari’s CEO confirmed that the company is indeed building a new console but he didn’t explain why anyone should care. I realize that’s not enough detail to form an opinion but the fact is there’s only so many different things this could be. The most obvious answer is that Atari is building its own version of Nintendo’s popular NES Classic Edition. That mini-retro console was a big hit despite only coming with 30 games and having wired controllers with short cables. Nintendo stopped producing the $60 machine and people are still paying up to $200 for the thing, so it would seem smart for Atari to do their own version, right? The problem is that Nintendo vigorously guards its intellectual property and keeps everything in a closed ecosystem. Atari liberally licences out its classic games and the Atari Flashback 8 Gold was one of Gizmodo’s picks for best hardware at this year’s E3. That machine seems to be pretty much everything you could ask for from this type of console. With a retrogaming package, the only thing that it seems Atari could do to create a real value is keep the price down and fill it with every game it has ever made. The Atari Flashback 8 Gold comes with 120 Atari 2600 games, so pulling out everything in the back catalog might be the only way for the Ataribox to bring something definitive to the market. But Atari’s claiming that this new console was “years in the making.” Meaning they started work before the NES Classic was a bandwagon to jump on. And saying that it uses “PC technology” seems to indicate that it has more power than a retro console would need. So, is Atari actually trying to build something to compete with Microsoft, Sony and Nintendo? That plan would almost surely be suicide. The market for consoles is stuffed. Yes, the Nintendo Switch is a big hit, but it offers a simple and practical gimmick along with some quality exclusives and many more on the way. Atari has pulled itself out of bankruptcy by making some basic mobile games, and signing licensing deals. Consider the fact that Microsoft is one of the most successful companies in the world, it spent $100 million just developing the Xbox One’s controller, and it’s still in third place. Atari just couldn’t compete and if it’s trying to build some sort of Steam box, it’s difficult to imagine they could succeed while the Steam Machine has failed. 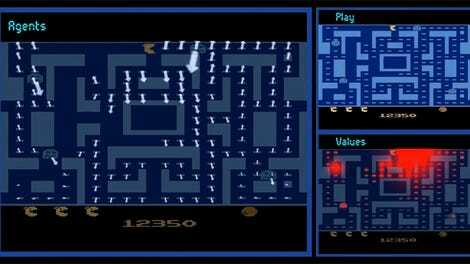 Maybe Atari will blow some minds. Maybe it has something totally new up its sleeve. For now, the only thing that looks promising is the return of faux wood. Faux wood is pretty distinctive.